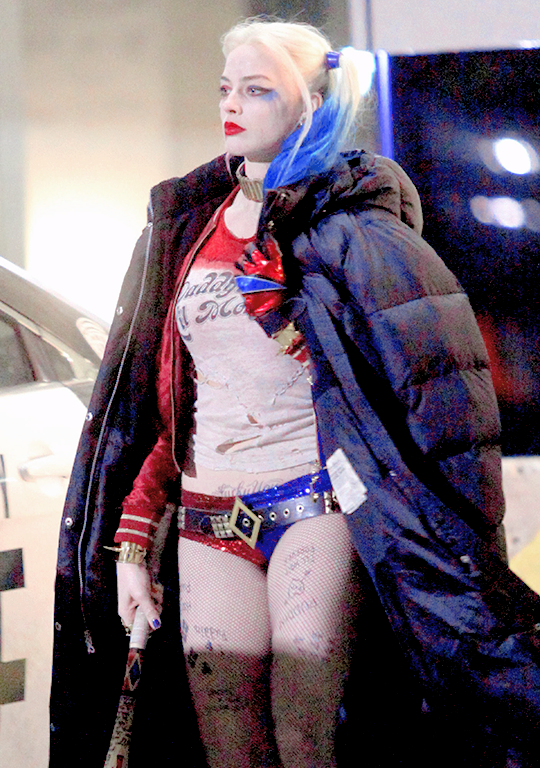 Margot Robbie on the set of ‘Suicide Squad’. . HD Wallpaper and background images in the Margot Robbie club tagged: photo suicide squad margot robbie harley quinn. 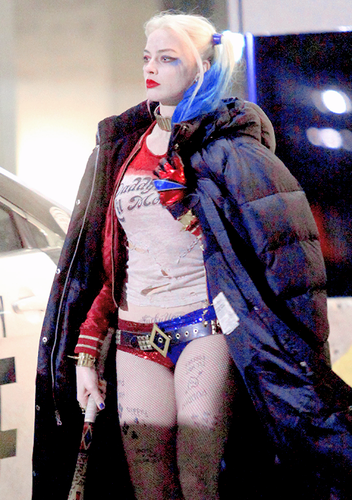 This Margot Robbie photo might contain pakaian luar, overclothes, outerwear, kotak kot, peti kot, hip boot, and thigh boot.